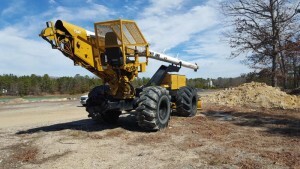 We are a company specializing in environmentally friendly land clearing. Our qualified team is dedicated to meeting your needs and surpassing your expectations. Our crews are filled with experienced and trained professionals who can be put on a site when needed and you can be assured your project is in good hands. Routine Maintenance Contracts – Keeping access to a pipeline is critical to completing required maintenance in a safe, efficient and effective manner. River Front can set your company up with a cost effective maintenance contract to keep your right of ways clear of any debris. We have the best tools the industry has to offer.